Arthur Austin was a professional, and likely self-taught, photographer of the early 20th Century who documented the people, scenery, homes, businesses, public buildings, street scenes and agricultural aspects of daily life in and around Franklin between circa 1900 and 1930. Not a lot is known about this man or his family. 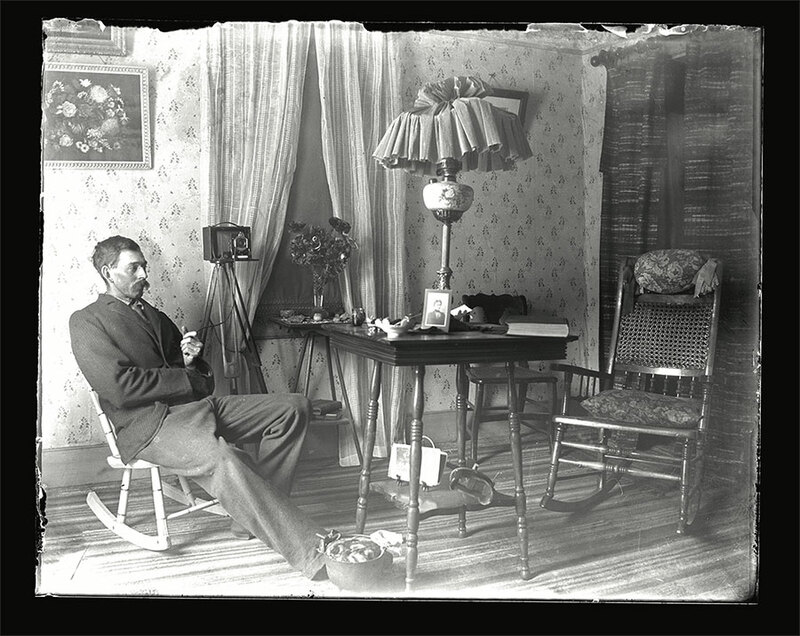 It can be suspected that he started out during the early camera craze, fueled by the Eastman Kodak Company (and a handful of other companies) who marketed cameras and negatives for the “every-day” person and professional, thus leading to “instant photography.” He also may have learned his photography skills from a friend or family member. Austin documented most of his shots on glass plate negatives, a plate of cut and beveled glass coated with a solution of silver particles suspended in gelatin. The negative was then exposed in a camera and later developed. These negatives ranged in size from 3 by 5 to 20 by 24 inches and were manufactured by various companies at the time. This method, though cumbersome, resulted in beautiful photographic images, as seen from the prints and scans of these and other early negatives. Austin may have started out as a hobbyist, later making a partial or full career from his honed craft by printing and publishing his images during the postcard fad between 1904 into the late 1920s. A majority of early postcard images of Franklin are Austin shots! During his adult life he may have also been the town butcher, as documented by another potential self-portrait. Austin likely also lived in a home on Center Street with his wife, Louise and daughter, Merle. 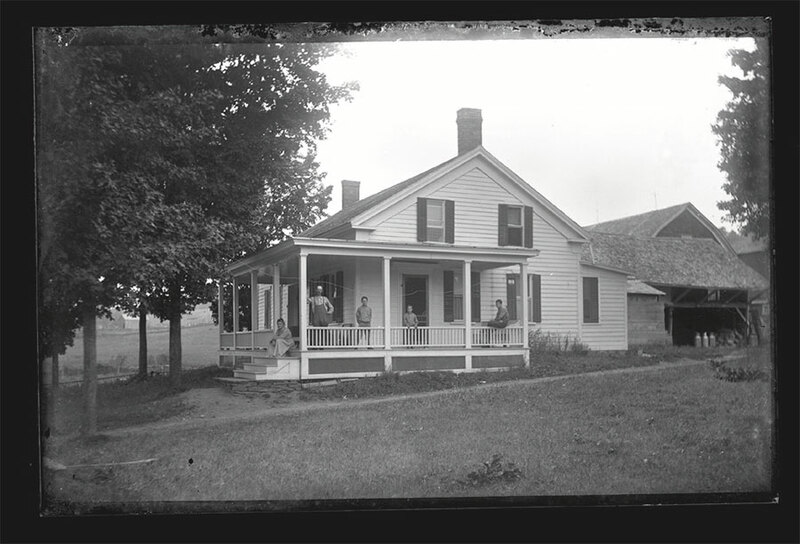 In 2015, The Farmers’ Museum acquired a collection of Austin’s negatives from Franklin’s own Blue Farm Antiques & Letterpress Printing. The negatives were further organized and sorted by content. All images pertaining to the Museum’s mission and collecting scope were retained and accessioned into the Plowline: Images of Rural New York agricultural photography collection. These images can be found only at this web address: plowline.farmersmuseum.org, search “Arthur Austin”. The remainder of the collection will be transferred to the Delaware County Historical Association (DCHA), keeping the collection in the local area. The Plowline collection, compiled over the last seven years, has grown to nearly 15,000 photographic objects. Please visit the Plowline website at plowline.farmersmusuem.org to view additional images documenting the life of New York State farmers and farm families past and present. If you recognize any of the homes or locations documented by Arthur Austin now on the Plowline website and can provide more detailed information, please email or call Christina Milliman, Curator of Photography at images@nysha.org or 607-547-1442. Please share the title of the image, object ID number and/or web link. Thank you for your help, and we hope you enjoy this wonderful and early collection. Special thanks to Phil Warish of Blue Farm Antiques for his time and enthusiasm in discussing the Arthur Austin Collection. Christina Milliman is the Curator of Photography, The Farmers’ Museum, Cooperstown, NY.